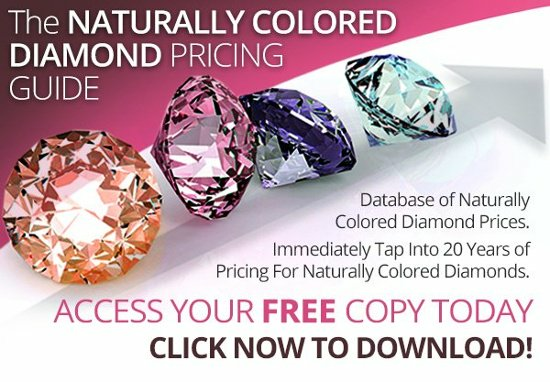 We all know colored diamonds are becoming more and more scarce. Remember, the Argyle mine is expected to cease operations within the next 2 years! Maybe that’s why these stones continue to fetch record-breaking prices. In this post, SCMP explores some of these record-breaking sales. Another month, another auction. This time, the event is Sotheby’s Magnificent Jewels and Noble Jewels Sale in Geneva. So what’s up for bidding? Find out all the diamonds up for auction in this post! Around this time last year, the record for the most expensive colored diamond was broken by the Pink Star. Although the record wasn’t broken this year, this blue diamond did shatter its pre-sale estimates by more than $2 million! Click here to read more about this 3.09-carat rectangular-cut, fancy intense blue diamond. This wasn’t the only colored diamond at the auction. Other stones included this 8.42-carat cut-corner rectangular modified brilliant-cut fancy intense pink diamond, and a 2.85-carat pear modified brilliant-cut fancy intense pink diamond. You can read about these top lots here. In another auction held by Sotheby’s in New York City, the organization was able to break a record, this time for the most expensive blue diamond per carat. For $6.7 million, one anonymous bidder won the 3.47 carat, fancy intense blue diamond. You can read more details about the auction here. If you are interested in the most expensive blue diamond in the world, Brian Roberts from Forbes does a great job sharing its history. You can read more here. We’re all familiar with the closure of the Argyle mine, however, the rise of diamond production from Rio Tinto increased 11% due to higher output. What does this mean for the mine? Are they exhausting its resources too fast? Read more about it here. Blockchain technology has taken the world by storm. From Bitcoin and other cryptocurrencies, the world is taking notice. 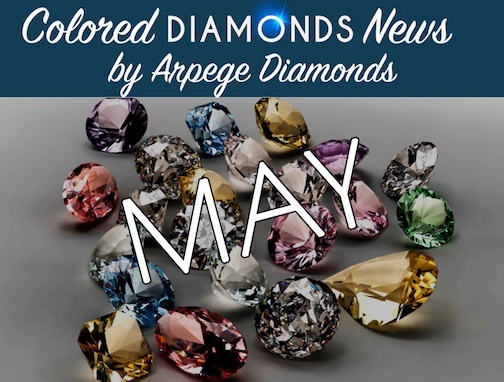 Most recently Argyle Coin announced the creation of a blockchain platform for transfer of colored diamonds, from mine all the way to retail. You can read more about this announcement here. Is this a one-time thing? Will other diamond organization follow? Judge for yourself; in this post, Lucara Diamonds recently launched a platform which uses blockchain technology and cloud computing to sell products in the diamond industry. Who will be next? You can read here for more details. Here’s a fun update. In 2008, a meteorite landed in the dessert that had diamonds encased in rock. (Quite literally diamonds falling from the sky.) In a recent study of the rock, scientists believe it might be part of a solar system from millions of years ago. To read more about this research, click here.